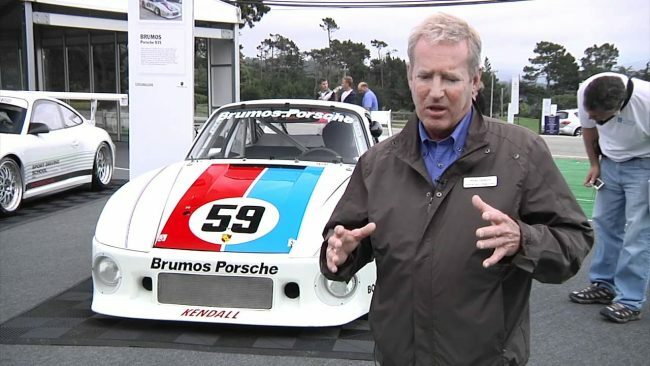 70-year-old race car legend Hurley Haywood said in an interview with HuffPost that after he came out as gay, he felt he has a responsibility which was awesome to be a representative of the LGBT community in a sport he considered the last place of male chauvinism. Haywood has model good looks and had the reputation of being one of the most eligible bachelors in the racecar community. He was also one of the most successful racecar drivers in the history of Daytona, winning the Rolex 24 at Daytona five times. He was also a three-time gold medal winner at Le Mans 24 Hour Race and is known for his ability for endurance races. Haywood kept his personal life personal until he came out in a February 2018 Autoweek interview. He also announced he was marrying Steve Hill, his longtime boyfriend. During the interview, he said he came out as being gay after he was being interviewed for a term paper by a high school student. The student told him he was being bullied because he was gay. Haywood helped counsel the boy. Month’s later, the boy’s mother called him saying he saved her son’s life. The experience made him want to help others by detailing his journey in a book and documentary. “Hurley” a documentary following Haywood’s announcement and career by racecar driver and “Grey’s Anatomy” Patrick Dempsey has been released on March 26, 2019, to streaming services. “Hurley” follows the retired racecar driver’s prominence in the sport from the ’70s to ’80s and how he had to keep his homosexuality a secret. The film debuted at the Inside Out LGBT Film Festival in 2018 and is directed by Derek Dodge. On Jan. 31 his autobiography “Hurley: From the Beginning” was released. Haywood hoped the two projects would show people a portrayal of his life which was honest and would help the next generation of racecar driver’s lives easier. A significant focus of the movie dealt with his longtime friendship with racecar driver Peter Gregg who committed suicide on Dec. 15. 1980. Gregg knew Haywood was gay, and it did not bother him nor was it discussed. The two had a solid relationship. Gregg was Haywood’s mentor, older brother, and taught him everything about racing. Losing him to suicide was extremely difficult. Haywood said the film talks about suicide, discusses mental health and tries to stop the stigma associated with it. He believes when people hold in their feelings, it prevents them from moving forward. Haywood also believes LGBT people face problems. He thinks the film says a person can be bad without “being a jerk” to get the point across and feels his voice will help.